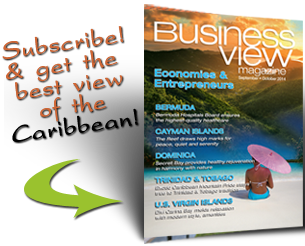 Business View Caribbean interviews Frank and Dara Flowers, Directors of The Flowers Group, for our series on Best Construction Practices in the Cayman Islands. 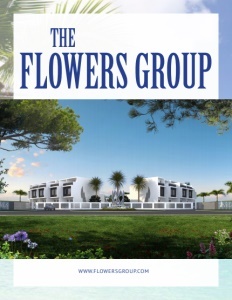 The Flowers Group is one of the oldest Caymanian owned and operated businesses. Founded in 1946 by Clarence “CL” Flowers, the company has diversified over six decades into a myriad of businesses primarily run by Clarence’s three sons, Frank, Richard, and Clarence Bradley. Today, the Flowers Group embodies everything from concrete block manufacture, to polystyrene products, bulk and bottled water, aviation security and baggage handling, and real estate developments such as Cricket Square. It’s a proud testament to CL’s tenacious work ethic and simple philosophy: to be successful you have to foresee a need and supply it before anyone else; and you have to be the best. At its very core, the Flowers Group is a good-hearted company with integrity in its DNA. When other block companies went out of business, instead of hiking up prices, they lowered them, always putting the customers and the Caymans first. While CL Flowers is no longer with us, his spirit lives on as the family business legacy continues to thrive and diversify. Sharing the Flowers family passion and drive is Dara Flowers – Clarence’s granddaughter and a third generation Director of the company. Mentored by her father, Frank, Dara is up to speed on the ins and outs of all of its corporate divisions: Flowers Properties; Air Agencies; Flowers Bottled Water; Orchid Development; Flowers Air Dispatch Services (FADS); Flowers Aviation Security Services; and Flowers Block & Foam. At the same time, Clarence had fallen in love with “Miss Jen” – Jen Hinds. He wanted to impress her by building the best house he could, but most of the traditional houses were wood, thatch, waddle and daub, and they just wouldn’t stand up in strong winds and hurricanes – not good enough for his bride-to-be. When he discovered the government had a small block plant where they produced material to build the post office – the strongest building on the island – Clarence thought that would work well for residential construction. So, he proceeded to build a house for his beloved, one block at a time, using a hand-press machine. His days were spent at the trucking company, and early mornings and late nights building blocks. It took years to finish the home but, in the end, Jen loved it. And people realized it was a good, strong idea. So, he went into production commercially, and the concrete block side of the business was born. During that time, Clarence and his sons were quietly acquiring land in central George Town. Their first building, constructed in the late ‘80s, later became the Cricket Square Development, which now has several office complexes. 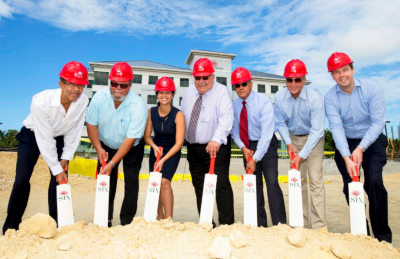 The largest commercial office space in the Cayman Islands, “The Sixth,” is currently being built. It’s a beautiful, modern, energy efficient building constructed from ICF, and is expected to open in August 2018. Cricket Square is a product of Orchid Development, also a Flowers company, run by Clarence Junior. Last year, The Flowers Group acquired another company, Air Agencies, which does full passenger and ground handling services and private charters. In total, the Group has 200 employees in its various divisions. As manufacturers and retailers for the construction industry, they manufacture everything locally, using locally sourced materials if available, and sell their products without distributors. The annual Flowers Sea Swim celebrates its 26th year this summer. Dara explains, “My father was an injured marathon runner and he was looking to get into a different sport. He swam his first Sea Swim, fell in love, and decided he wanted to put one on. Originally, the Sea Swim just donated to Cayman swimming programs but, after Hurricane Ivan hit Grand Cayman so badly in 2004, we thought we needed to make it a more community-focused charity effort. That year, the Sea Swim money helped cover a year’s living expenses for three hurricane-ravaged families with the “Live Free for a Year” campaign. Every year since, the Flowers Sea Swim has given back through wonderful local charities, including Big Brothers, Big Sisters, Habitat for Humanity, and Feed Our Future. 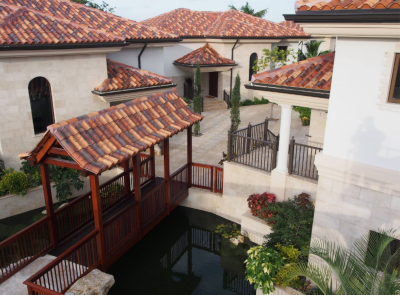 The Flowers Group are members of the Chamber of Commerce, the Cayman Islands Tourism Association, the Aircraft Handling Association, and the National Concrete Masonry Association, and they value every single customer – whether you’re buying one single block or tons for a huge development. On the manufacturing side, the focus is on recycling, reducing carbon emissions, increased efficiency in production, and figuring out how to be greener. Last year’s rebranding of the company was a fun exercise, especially changing 20-year-old logos. They also implemented a new website that’s more user-friendly and interactive for the customer, with the divisions separated to easily identify different product lines. Five years down the road, Dara acknowledges, “We are definitely looking at major expansion opportunities; continuing the succession planning so we remain viable and stable in the future; and increasing efficiencies so we can pass those on to our customers. We’re always looking for talent, and we want to make sure our team feels valued. If a company’s going to get bigger, you need to have good systems in place to manage your talent and your team. 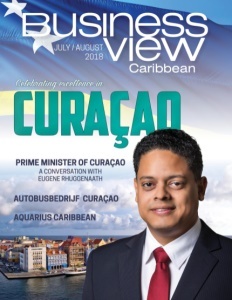 Check out this handpicked feature on Arch and Godfrey in the the Cayman Islands. Fox Blocks back up our products, support service and delivery that builders, contractors and designers expect. In 2006 after 20 years of producing all brands of ICFs, Airlite Plastics introduced the Fox Blocks ICF brand to the market with the latest design for energy efficient, resilient and durable construction products.